This month, Alfonso Angelone's friend left the gate on his South Austin house open, and soon after, his dog Maddy, an 85-pound mastiff/pit bull mix, went missing. Hours of driving around searching for the dog proved fruitless, as did posting a notice on craigslist.com. So Angelone, 31, enlisted the help of FindToto.com, a California company that for a fee places calls to residents in an area in which a pet has gone missing. Within an hour of Angelone's order, his neighbors received a recorded, 30-second message describing Maddy and asking anyone who had seen her to call Angelone. In the end, Angelone found his dog, but not because of the calls. Maddy was taken to the Town Lake Animal Center a day after she disappeared, and a shelter staff member alerted Angelone. But he said he doesn't regret the $125 that he spent on the calls. "I was doing anything in my power to get the word out," he said. A brother and sister duo in Brentwood, Calif., founded FindToto.com in November 2007, company spokeswoman Colleen Bush said. The idea came when Dustin Sterlino — the brother — lost his cat, Bush said. They have placed more than a million calls on behalf of thousands of clients and have reported finding more than 500 pets. The first $125 gets pet owners 500 calls, which are exempt from the national do not call registry. For more money, pet owners can send out more calls. Bush said the company relies on a database maintained by the U.S. Postal Service and guarantees that 85 percent of the calls will be completed to a person or result in a message left on a machine. She said the company is the only one of its kind in the country and is seeking to patent its idea. It takes about 15 minutes to make 500 calls, and that number is guaranteed to be placed within an hour of the order being taken online, Bush said. "We consider ourselves kind of like the Amber Alert for missing pets," Bush said. "We are really hitting much harder and much faster than you can knocking on doors or hanging signs up." According to their Web site, FindToto.com has had 16 clients in the Austin area. 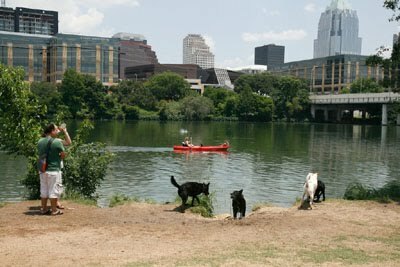 While some Austin-area pet owners who used the service have found their pets, none of those contacted by a reporter said it was directly because of a call placed to a neighbor. Angelone said he learned about the service when a woman e-mailed him in response to a Craigslist ad and told him that she had used FindToto.com successfully. Lori Graham, 24, turned to FindToto.com when she lost her Yorkshire terrier Maxwell in her Southwest Austin neighborhood in November. "I found my dog the old-fashioned way," she said. "Someone saw a sign." Her neighbor had scooped up Maxwell, taken him home and given him a bath. "He even got to sleep in the bed with them," Graham said. "It was like a little doggie vacation." The next morning, Graham's neighbor saw her signs and called about Maxwell. Nancy Baughn, 54, who lives near Dripping Springs, said she used FindToto.com four days after losing Bentley, her King Charles spaniel, in November. Within hours, she received calls from neighbors saying that they had seen Bentley days earlier. In the end, he returned home on his own after apparently being hit by a car. Bentley is recovering from his injuries. "He found me," Baughn said.